It's January 1950 and for most people, WWII has been over for five years. But not in the Howard household in Tacoma, Washington. It was only fours years ago that Annie Leigh's father, who had been MIA, returned from the war, and spent time in a convalescent hospital learning to adjust to his blindness. Now, he's home, but is starting to withdraw more and more, refusing any more help with his blindness, unlike Uncle Billy, who had also come home from the war with PTSD, and had gotten help for it. Now, the Howard Brothers are planing on starting a carpentry business together - one that won't require Annie's father to leave home. On top of that, her mother, who seems to be extremely most self-absorbed and domineering, has started her own beauty salon, a long time dream finally realized, but a bone of contention between her and her husband. The family needs the money the salon will bring in, but it takes up a lot of her time, or maybe, Annie speculates, what takes up her mother's time is really the florist, Mr. Larry Capaldi, whose shop is downstairs from the salon and who frequently picks Mrs. Howard up and drops her off. Into all this come Jon and Elizabeth VanderVelde, refugee twins from Holland who have come to Tacoma to live with their Aunt Dee and Uncle Hendrick. They live on the estate of a wealthy family, Aunt Dee is the cook and housekeeper and Uncle Henrick is their driver. Jon and Elizabeth immediately become friends with Annie Leigh, but they are also carrying their own emotional baggage, especially Jon. The twins spent the war living under Nazi occupation, and witnessed the terrible killing of their parents, to which Jon responded in ways that left him with his own nightmares and PTSD. Luckily for Annie, her beloved Grandma Howard from Walla Walla comes for an extended stay and can offer Annie some support, advice and stability when needed. Meanwhile, Annie gets to know Jon better, and the two find they are attracted to each other, despite his black moods. But after he surprises her by telling her the truth about what happened on his family's farm towards the end of the war. Annie begins to question her feelings for Jon. But, Annie's biggest surprise come when her mother announces that she is pregnant, and Annie can't help but wonder who the real father is. Yes, this coming of age story is packed with problems that Annie fears might collapse her world. But in the process of seeking solutions, Annie learns to appreciate what those who were directly involved in the war experienced. And in her attempt to find solutions and make everyone's world better again, she must learn to sometimes step back and let things unfold without her help. 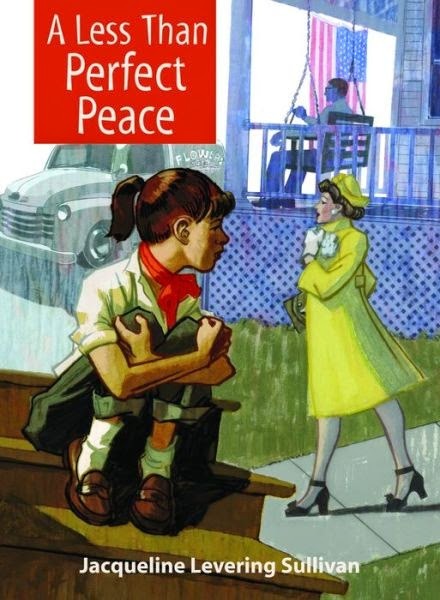 A Less Than Perfect Peace has some nice elements to it and creates a very realistic sense of place and time, giving the reader an interesting window into the beginning of the Cold War, which is also a good metaphor for what was going on in the Howard family at the time. At times the story did drag, and it seemed like there were just too many different story threads, but it all works out in the end and it does mimic how real life happens. When my mother suddenly lost the sight in one of her eyes, I saw how truly panicked she was about it, and the idea of losing sight in both eyes was a really scary thought for her. I could understand Mr. Howard's desire to stay in the safe confines of his home, where he knew his way around, and to be so resistant to admitting to himself that he is blind and therefore handicapped, even when there were programs and guide dogs to help him maneuver the world again. His character shows what a paralyzing emotion fear can sometimes be. I should mention that this is a sequel to Annie's War, which I haven't read yet, but enough background information is given by narrator Annie Leigh in A Less Than Perfect Peace so that it is a nice stand alone novel and a novel that will certainly resonate with many young readers especially those who are or have family members stuggling with PTSD. Hi Alex, I cannot imagine how awful it would be to go blind. I’ve always been afraid of the dark so blindness is a terrifying thought. I note you say the book drags a little so that might put me off but I like the sound of the story, and it’s set in a time I remember so that makes it even more interesting. 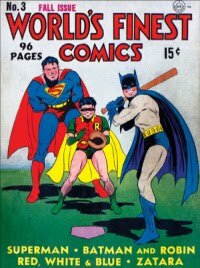 I will probably pick up a copy if I see it. Thanks for coming to visit my sister and I on our family history blog. It was lovely of you to visit and leave a comment. Barbara.